Microsoft has revealed details about availability of its much awaited Windows 10 operating system. It has also announced partnerships with the likes of Lenovo and Xiaomi. Microsoft has announced launching its Windows 10 operating system in 190 countries and 111 languages this summer. The company has also announced teaming up with Xiaomi wherein a select group of Mi 4 power users will be invited to test Windows 10. These users users will have the opportunity to download the Windows 10 Technical Preview. “...this is an experimental program entirely led by Microsoft, and we are happy that Mi fans with Mi 4 devices in China will be able to participate and provide feedback,” Xiaomi responded to the TNW over the tie up with Microsoft. Microsoft has further revealed its strategic partnerships with Lenovo, Tencent and Qihu 360 for the Windows 10. Lenovo will offer Windows 10 upgrade services at its service centers. It will also launch Windows Phones, which will be available in mid 2015. Windows 10 will be rolled out as a free upgrade to devices running Windows 7, Windows 8.1 and Windows Phone 8.1 for the first year after it is released. Read more about Microsoft's latest announcement here. In a related development, Microsoft has introduced a new biometric-based sign system for Windows 10 called Windows Hello. “Windows Hello will make Windows 10 more personal by providing instant access to your devices through biometric authentication – using your face, iris or fingerprint to unlock your devices – with technology that is significantly safer than traditional passwords. We’re working closely with our hardware partners to deliver Windows Hello-capable devices that will ship with Windows 10. We are thrilled that all OEM systems incorporating the Intel RealSense F200 sensor will fully support Windows Hello, including automatic sign-in to Windows,” explains Microsoft on its blog. The latest development comes as Microsoft plans to phase out its age old Internet Explorer and replace it with much-hyped Spartan browser. Windows 10 is considered to be the most crucial product for Microsoft which has been making efforts to compete with the likes of Apple and Google in different segments. 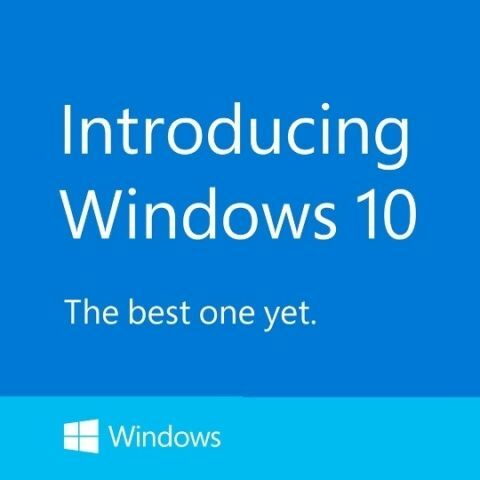 Following an underwhelming response to Windows 8, the next version – Windows 10 – is set to bring a host of new features and improvements. One of the recently announced features is storage compression, which means Windows 10 will take less storage on your primary drive.